Inside the box, it is the usual affair — the Apple Watch itself, the bundled band, a wall adapter, and the magnetic charging puck. 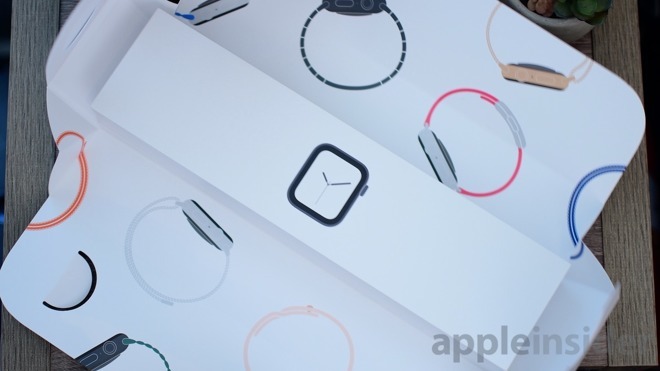 This year are a few subtle changes to this including packaging the Apple Watch separately from the included band. They come in two separate boxes, wrapped in a printed cardboard wrapper with some neat graphics on the inside. Apple seems to be on a trend to minimize the packaging, which is smaller than ever. Especially from the original Apple Watch boxes that came with microfiber lined plastic storage boxes. 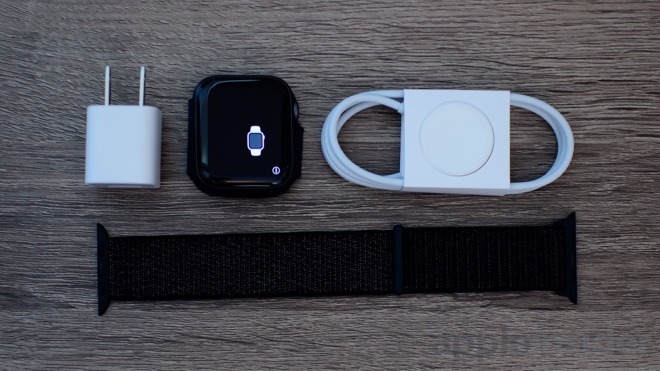 Also different this year, the legacy Series 3 Apple Watch is no longer bundled with the 5W wall charger. The puck is still there, but you'd better bring your own power adapter. There is plenty of time to get to know the new Apple Watch, but our first impressions are largely regarding that new display. It looks absolutely stunning and makes the Apple Watch feel completely different. The way the display corners are rounded to match the enclosure is a fantastic subtlety that makes the Apple Watch feel like a more mechanical timepiece. 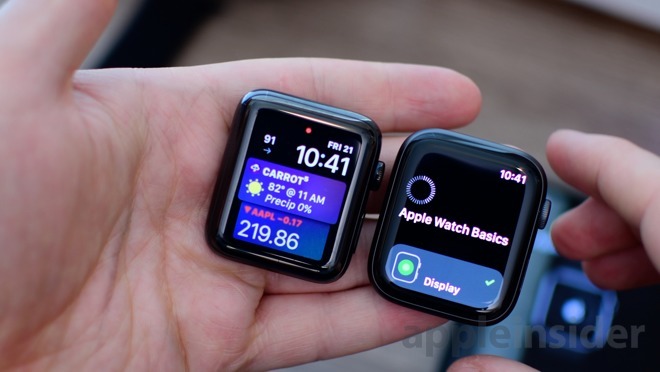 We heard many times that existing bands would "work" with the new Apple Watches, but we weren't sure how well they would match the curvature of the slightly larger display. Luckily, Apple came through. Existing bands fit perfectly, exactly matching the shape of the new case. As the primary physical control of the Apple Watch, we were very interested to feel the new haptic feedback on the Digital Crown. It looked somewhat like a marketing gimmick, but after playing around with it, we were sold. Admittedly it feels a bit more like getting tapped on the wrist than a notch of the crown, but that doesn't make it less useful. It makes making certain adjustments easier to do without looking at the watch, such as adjusting volume. It provides a degree of tactility normally missing from digital wearables. 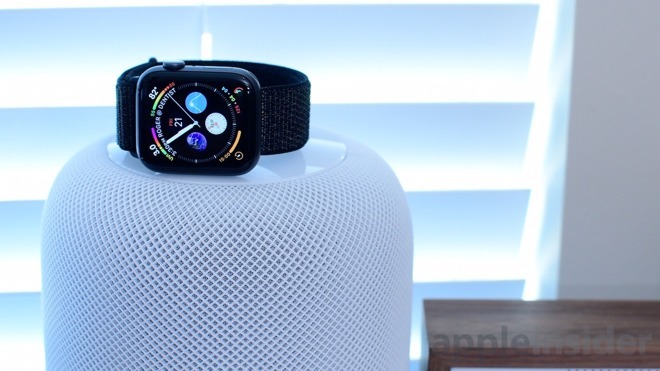 Recently AppleInsider highlighted the new faces that were introduced with watchOS 5. While existing users have them available, they look much more at home on the Series 4. They go completely edge-to-edge on the display and take full advantage of the OLED's deep blacks. New this year is also a gold color option for both aluminum and stainless steel models. It replaced the outgoing rose gold color, which we initially preferred. After seeing the gold for ourselves in person, it isn't as ostentatious as we assumed. It looks much more subtle and will match the new stainless steel gold iPhone XS perfectly. AppleInsider will of course have our full review in the coming days, so stay tuned for further coverage. If you'd like to pick up a Series 4 Apple Watch yourself, check out our regularly-updated price guide for the best prices.